Plants need carbon dioxide to grow and if there is a lack of CO2 available to plants, this will result in slow growth. CO2 enrichment can multiply the growing speed of all indoor plants, leading to healthier ripened fruits, abundant yields and colourful harvests. TNB Naturals The Enhancer is a simple and safe way to deliver CO2 to your indoor grow room without the need for expensive CO2 regulators and bottles that's available in 5L and 10L options. TNB Naturals The Enhancer is a fantastic, simple and safe way to deliver CO2 to your indoor garden or grow tent without the need for expensive CO2 regulators and bottles. The Gemini CO2 bags are an affordable, compact way to enrich grow rooms with additional CO2 that can be used consecutively in 10m2 spaces or simultaneously in 20m2 spaces. These CO2 bags are a cost effectivce way to enrich grow rooms with CO2, for healthier plants, faster flowering and better yields. Simply pierce the bag, place close to an oscillating fan and each bag will last up to 3 months. The ExHale CO2 bags are designed for small to medium grow spaces, or more specifically 1 ExHale Cultivator will provide 4-6 plants with the CO2 they need. 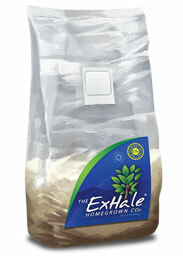 ExHale can be used for both vegetative plant growth as well as for fruit and flower production. 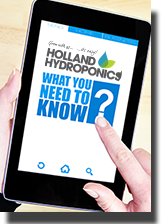 The Evolution Digital Carbon Dioxide (CO2) Controller, made with the latest microprocessor and infrared technology, it enables easy control and monitoring of CO2 levels in your grow room. Gas tubing designed to release the CO2 around your plants as directly as possible. CO2 Regulator attachment for bottled gas.